Every year in America we have 75,000 forest fires. Think about all the forests that are destroyed and all the properties that have been demolished. The United States spends a lot of resources fighting forest fires. Other countries lean toward spending their funds on managing forests. Perhaps the United States can use other countries tactics for the prevention of forest fires. There are some ways to straighten up forest fires; still I believe there could be more ways to solve them. What is happening right now with forest fire costs? 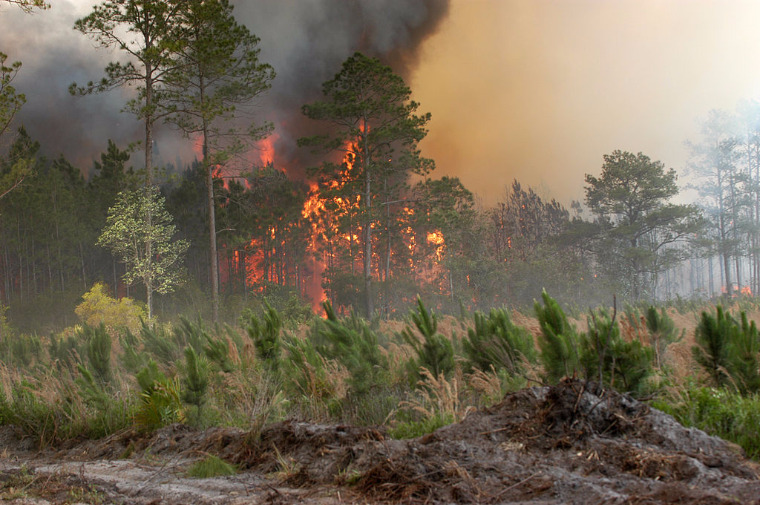 An article published by the United States Department of Agriculture stated that in 2015, the Forest Service’s 10 largest fires cost more than $320 million. The cost of fire suppression in 2012 was $1.1 billion and is predicted to increase to nearly $1.8 billion by 2025. The article went on to say, “In 1995, fire made up 16 percent of the Forest Service’s annual appropriated budget—this year, for the first time, more than 50 percent of the Forest Service’s annual budget will be dedicated to wildfire.” As you can see from these data points, current practices for managing forest fires are very expensive and expected to increase. Recently, I was personally impacted by a forest fire. In the summer of 2016, a wildfire caused by fireworks burned the hillside outside of my neighborhood. I was the first person in my family to notice the fire due to the smell of smoke, and then woke them up because of my concern. We went outside and could see the fire moving across the foothills. It was one of the scariest things that I have ever witnessed. Some people believe that the laws we have for this issue are fine how they are and forest fires may be unavoidable. This could be that they either don't think this matter is concerning or concerns them. As I mentioned the number of forest fires are increasing, which should concern everybody. While forest fires can be caused naturally, nine out of ten fires are caused by humans. Wildfire management tactics today include encouraging compliance with all local laws and regulations, monitoring weather conditions, using easily controlled locations for burning, and avoiding the burning of anything unusual or combustible. In addition current laws may be lacking. It is legal to buy fireworks in Boise but illegal to set them off within city limits. An article by Ethan Wolff-Mann in Money Magazine said that states other than Idaho also allow for this. This is just one example of how current laws are insufficient. The effect of current solutions seem to not be helping as we have reportedly 75,000 fires a year burning over 7,000 acres a year. From these fires there are show to have an average of almost 2,500 buildings destroyed each year. These fires are not a very cheap thing to fight which is a reason why we need to focus more on planning for response to forests fires as they do in Europe. In the European Commission’s website, it talks about how every year before forest fire season they have a big meeting with participating states in the EU Civil Protection Mechanism on preparing for possible oncoming fires. In conclusion, forest fires are dangerous and frightening events. You never know when you will be faced with teens setting of fireworks that burn the foothills outside your neighborhood, so you should always be aware. Perhaps the United States could spend more resources on planning for forest fires which could result in less costs associated with fighting fires. College tuition is the main reason many can't go to college. It's overpriced. Zoos are cruel and unfair to animals and America needs to put a stop to them. A letter about a controversial issue and why I think it should change. Dear Mr. or Mrs. President, I would like to bring to your attention the incredibly high university tuition rate. How can the funding in the Arts Department change?